Mr C was a director for a large company and believed he was made redundant unfairly. He wanted a good compensation claim solicitors so we took on the case – and won a significant claim! 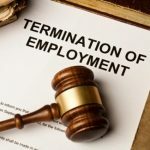 With help from from Stonehewer Moss Solicitors, Mr C brought a claim before an employment tribunal and eventually negotiated a settlement in his favour for unfair redundancy. Mr C was a non-executive director of an international company, which entered into redundancy consultations with a few of its staff, including Mr C. Mr C believed that the redundancy was unfair as his position remained and that his employer was simply trying to get rid of him so that a new Director could be appointed. The outcome of this case was that a settlement was negotiated with the former employers, and Mr C was awarded £68,000 in compensation. Error: Error validating access token: Session has expired on Saturday, 09-Mar-19 13:12:58 PST. The current time is Thursday, 25-Apr-19 21:50:33 PDT.